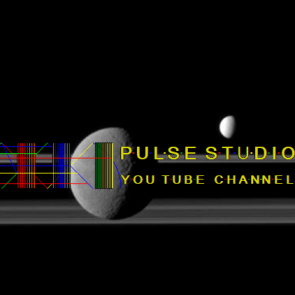 It’s funny, when I took this studio … I thought it was tiny … But the longer I stayed, the bigger it became. 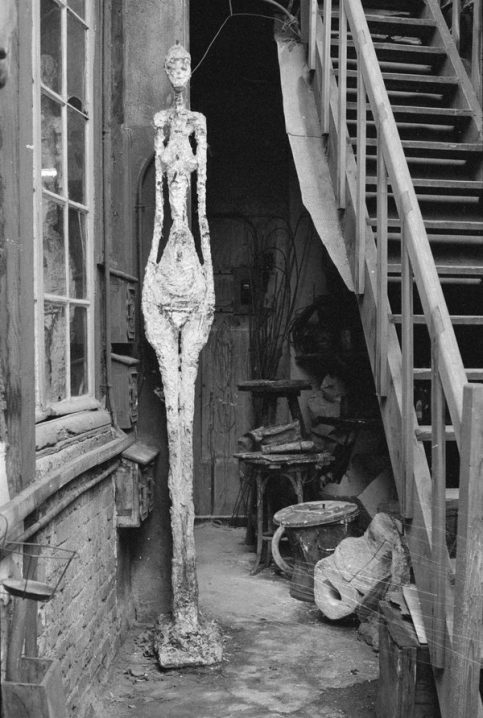 I could fit anything I wanted into it. 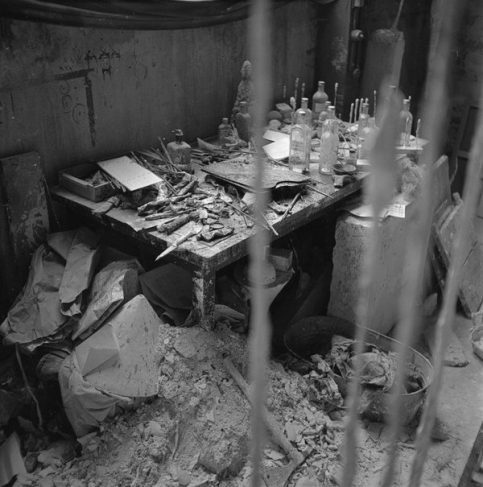 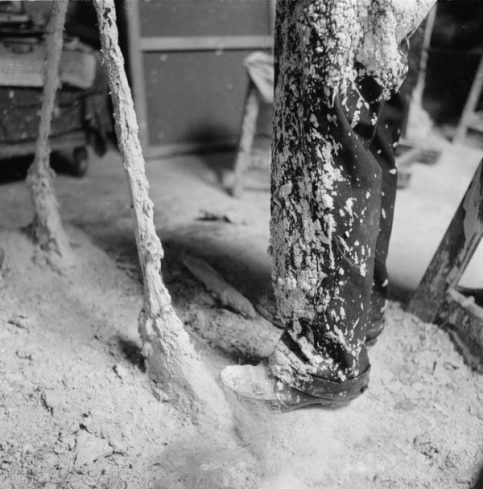 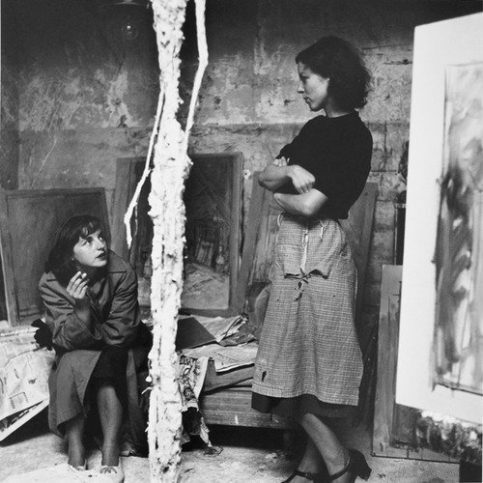 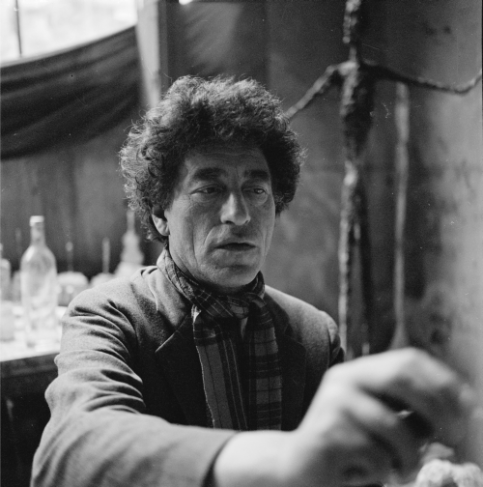 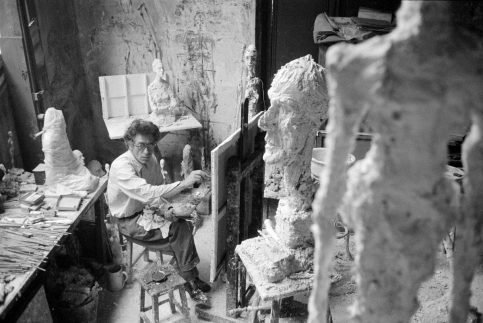 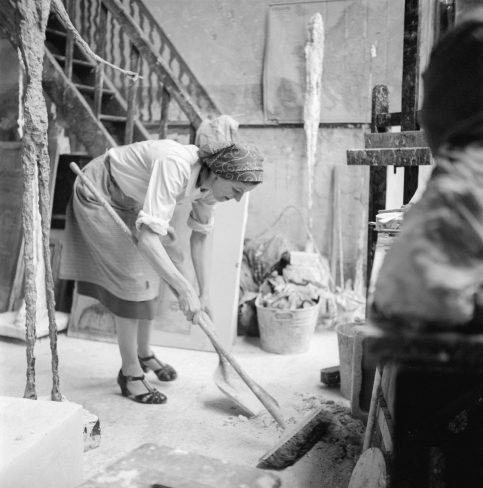 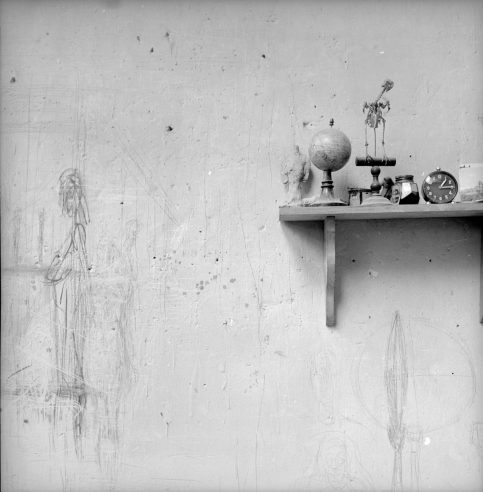 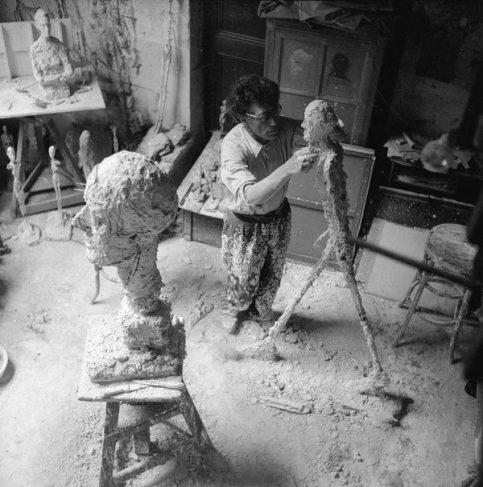 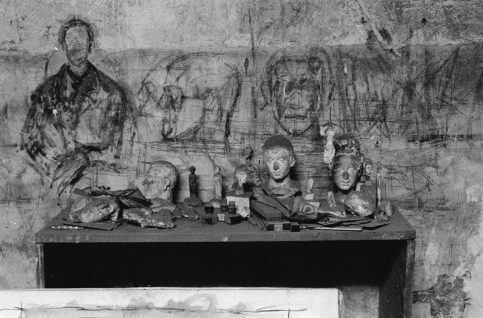 [Giacometti] had said the other day to come in the afternoon, so I arrived at a little before three … The studio is … in a sort of complex… the whole place looking as if it had been thrown together with a few old sticks and a lot of chewing gum … In short, a dump. 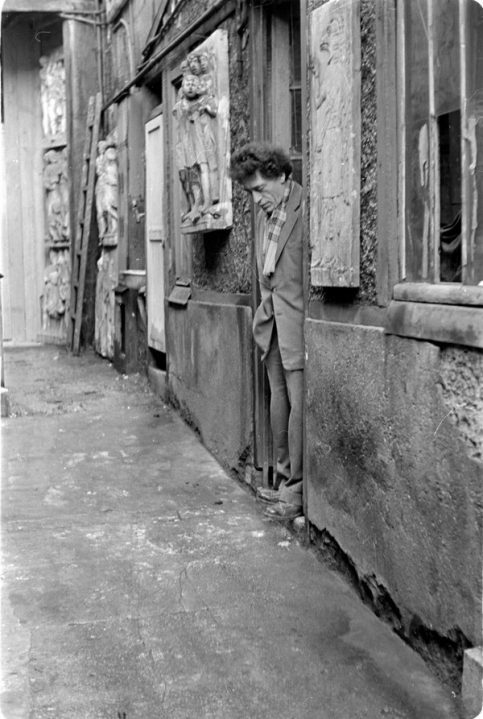 It is strange that this famous man … lives the way he does. 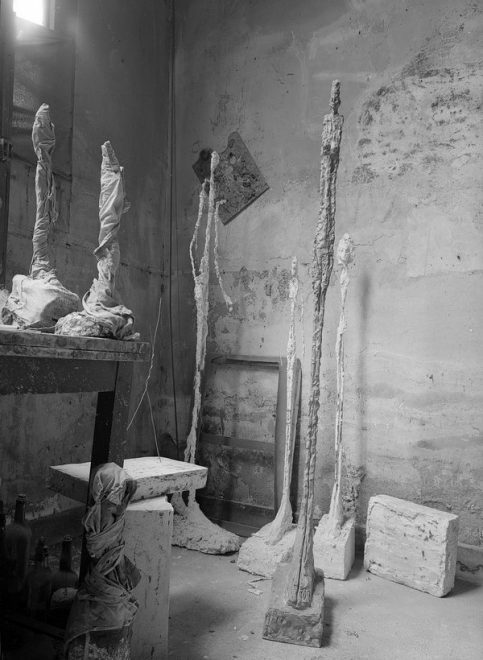 … And then suddenly, improbably, towards the end of the sculptor’s career, a small but sturdy tree erupted, unbidden but unopposed, through the studio wall, stretching its luscious green leaves in the grey plaster-filled air.